Helping support human trafficking survivors in many countries where large pockets of slavery exist today is a natural fit for students participating in the I.B. program. 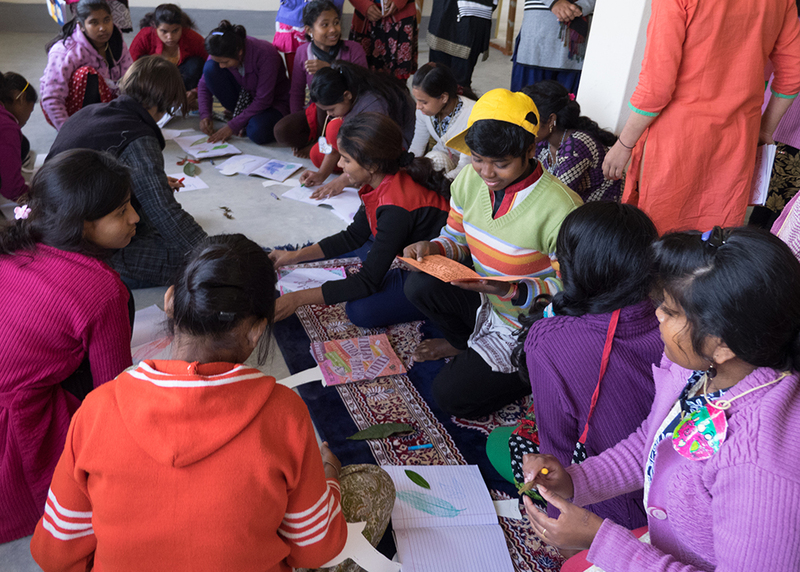 Supporting survivors, mostly children, who have suffered forced servitude in brothels, factories, or domestic labor, combines the IB Learner Profile traits of Caring, Knowledgeable, and Principled. 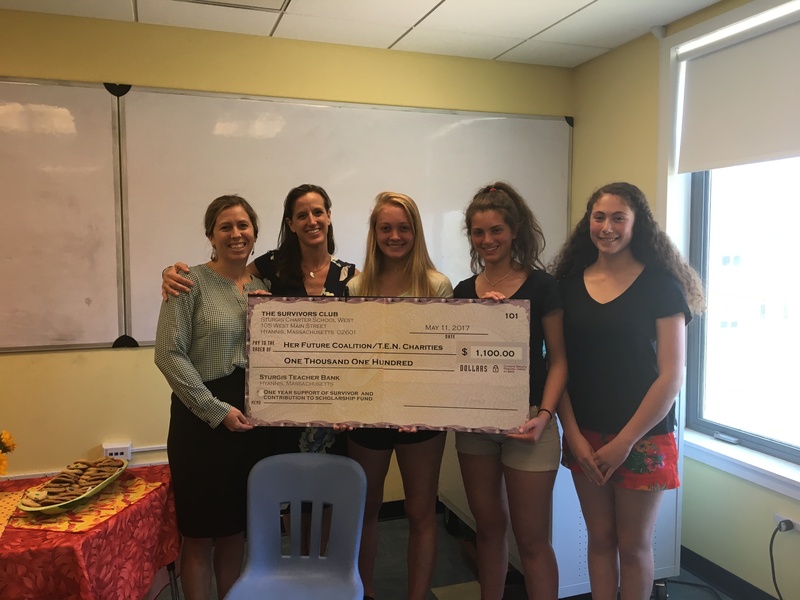 For the past 12 years, students and faculty at Sturgis have been supporting an organization called Her Future Coalition (formerly called Made By Survivors) which was started by a local Cape Cod woman and now helps many hundreds of victims of human trafficking around the world. Founder Sarah Symons had seen a documentary on modern slavery and set about finding how she could make a difference in the lives of these child victims. When she traveled to the organizations which help free the victims, she was told that the best way for her to contribute was to find ways for the survivors to make a living once they are freed. So many would find themselves back in the places from which they escaped, since they had no other skills to rely on to support themselves. She established a program to teach them trades like jewelry making and to supply scholarships for academic training. Sturgis students have been helping sell survivors’ jewelry locally for all 12 of the years the program has existed. When the program followed faculty advisor Robin Singer from Sturgis East to Sturgis West in 2013, the sale of pizza on a weekly basis also enabled the club to make donations for scholarships and shelter improvements, as well as buying the products made by the survivors for raffles and to resell. The club is more active today than it has ever been. The latest fundraising activity by the MBS club (the club kept the Made By Survivors name) has been an International Banquet. Volunteer students and faculty make food from around the world which is sold to appreciative students and faculty, with the proceeds going toward scholarships and shelter support. 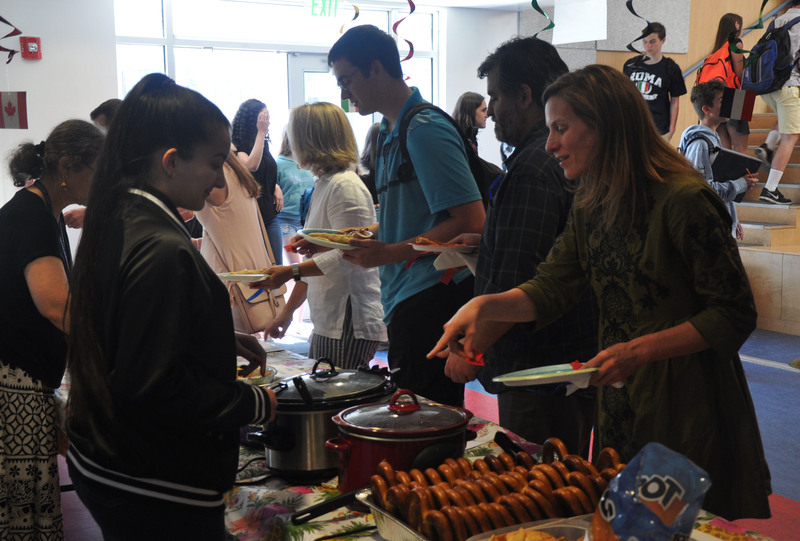 The first banquet was a huge success – there was food and drink from India, Vietnam, Italy, France, Germany, the Middle East, Mexico, and more. This time food sign-ups already include items from Pakistan, Africa, Jamaica, and Poland. 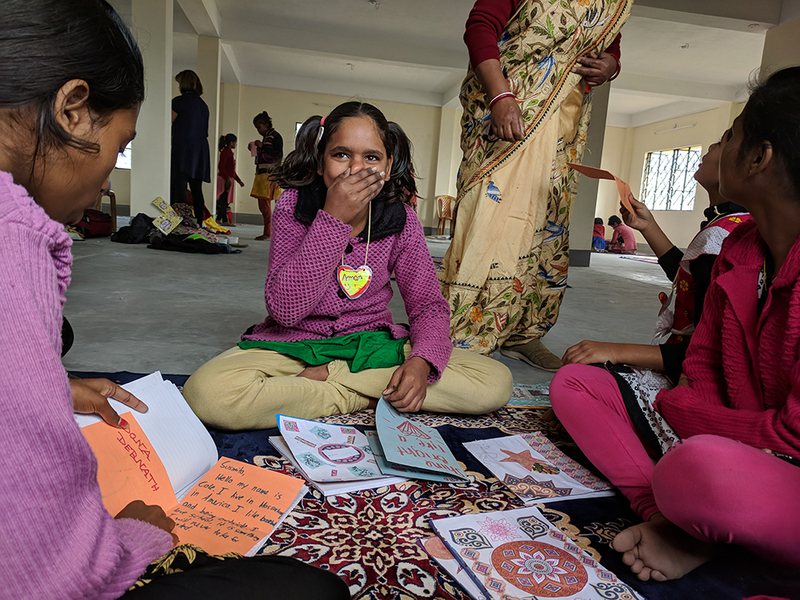 Club members have written letters to shelter homes and have had opportunities to hear firsthand about the trips by ‘Her Future Coalition’ staff, in which they are meeting and working with former victims of human trafficking. The club has had a lot of fun raising money through individual events such as Valentine’s friend-grams, selling pens, co-hosting a coffee house, sales of snacks, and beaded bracelet sales.